Fattoria Franci’s Fiore del Frantoio’s superb Italian extra virgin oilive oil from Tuscany has finally arrived and is now being served at Balla. it is also avaiable for sale in the Balla negozio . Take a look in the Balla Shop on the Balla Wine list i-Pad App when next at Balla for all the details . After a meticulous search, Stefano and Gabriele selected Fattoria Franci’s Fiore del Frantoio as the olive oil to fashion as Balla’s own. Stefano visited the frantoio (oil mill) and knows their oil well. 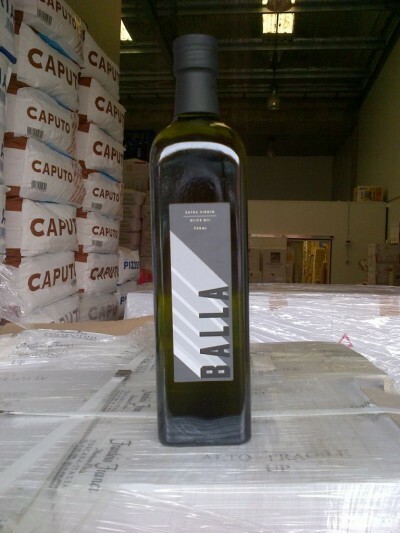 This stylish olive oil is produced near Grosseto in the heart of the “Maremma Toscana”, in Tuscany, and imported by Gian Marco Balestrini of Lario International.